Tim Healy has been a leading, full-time real estate professional for more than 31years. His dedication to his clients has made him a consistent multi-million dollar producer. Tim began in real estate in 1986 with an extensive background in entrepreneurial business administration and economics. He prides himself on his excellent listening and communication skills, as well as his ability to counsel and advocate for his clients. 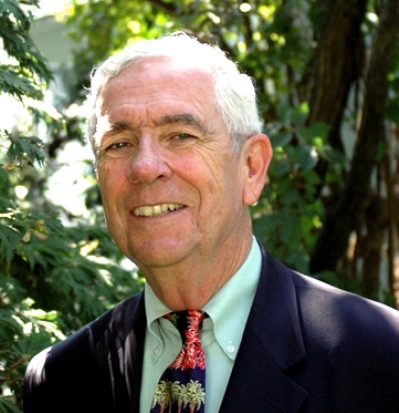 As an enthusiastic resident of Maryland’s historical Chevy Chase neighborhood and an active community volunteer, he provides remarkable knowledge of the local area. Having first moved to this area to attend Georgetown University School of Business (1962-1966), he has a specific expertise in the Washington DC Metro area. Tim is a member of the National Association of Realtors. He has acted as Chairman, building inspector and secretary of the Village Council for Section Three, Village of Chevy Chase. He has also worked as a fundraiser for the Capitol Interfaith Hospitality Network (serving homeless families). Tim has also served as well as a Voting Judge for national elections. Appointed to the Chevy Chase Fire Board, a non-profit affiliate to the Montgomery County Fire Department, he remarked, "I hope I get a Fire Board hat with the ENGINE 7 on it!" In his words: "As far as the market is concerned, I have helped people from the metro Washington DC area, including Maryland and Virginia. Need some help? Pick up the phone and give me a call or email me. I'll answer quickly." "Tim provided us with the exact strategy for a winning bid, applied that strategy throughout the negotiation process and steadily guided us through a quick and effortless transaction. " "I can't tell you how much I appreciate all of your help. Selling our house was challenging physically, financially, and emotionally. You have been the best realtor we could have ever hoped for, as well as an understanding and supportive friend. Throughout the entire process we felt extremely confident and comforted that we were getting the best help possible and that all that could be done would be done with your guidance"....Our appreciation cannot be stated enough. Whenever I hear of somebody buying or selling a home, I will do my best to convince them to use you." "I cannot thank you enough for all that you did, which I know was enormous..... I can't thank you enough. You are a good man. "